Another people who tried your software in Excel informed me that he is getting always error like a return squares figures before each IA after scanning. 1st I have to input below data in a text formatted cell of excel. 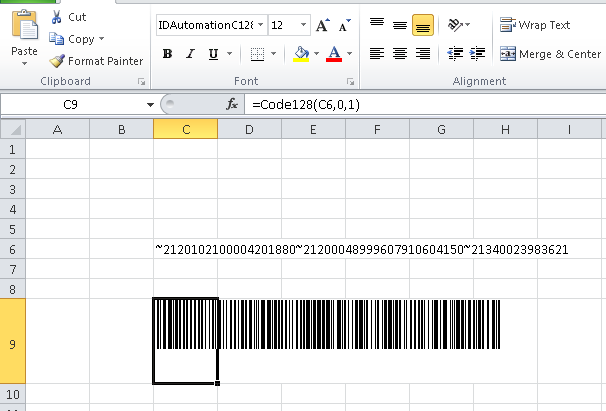 Can you please advise with example for the above, whether you have any 100% OK / readable GS1-128 barcode solution in EXCEL from your any package ? I found all barcode string and bar are 100% same as earlier 1st method which have this problem. So, kindly reconfirm how to solve the problem. 2016 Update: A new product (Native Barcode Generator for Excel) has been released since this post was resolved that offers an easier method of generating barcodes in Excel. 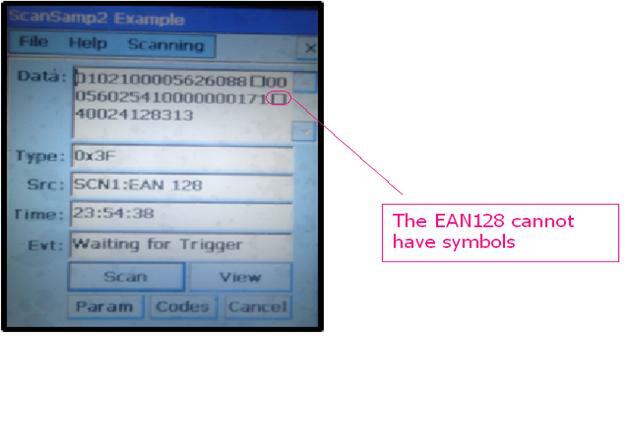 Within IDAutomation products the parentheses is designed to encode the FNC. If the AIs that come after the first AI do not require an FNC, then you do not have to add parentheses around it. If you are required to identify the AIs, you could use a GS (Group Separator) created using ~029 right before your AIs. Unfortunately, I will not analyze every single value that you have. If your last string element is variable, then you will need to surround the data within parentheses to signify the FNC. Note: The example do not take into account variable string elements which may require the parentheses to encode the FNC. James	 If encoding in Excel, using parentheses for GS1-128 could cause Excel to interpret the data wrongly. » How do I download a MAC version of the Add-in?